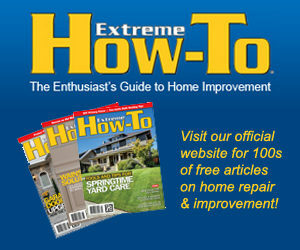 Around seven years ago, I reviewed some high-performance metal cutting saws from Evolution Power Tools. A couple weeks ago, the company again reached out to inform us of a new product lineup and gave us the opportunity to test a couple of their latest units. 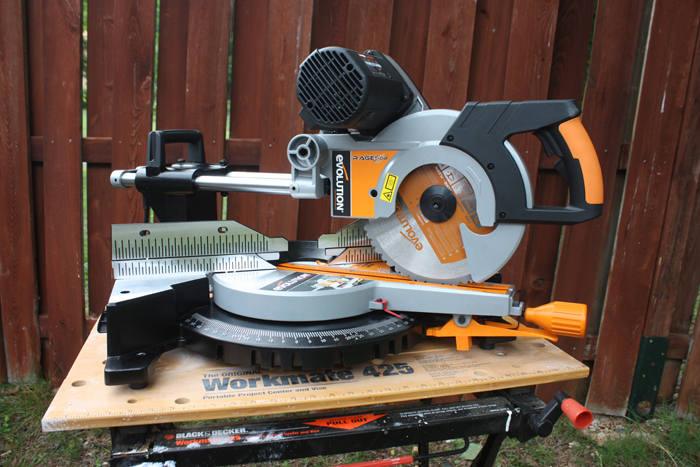 This time I took a look at the Evolution Disc Cutter as well as the Rage3 10″ Multipurpose Sliding Miter Saw, and I liked what I saw. When you need to cut concrete, stone or brick, the new 12″ Electric Disc Cutter is an ideal alternative to high-maintenance gas-power cutters. 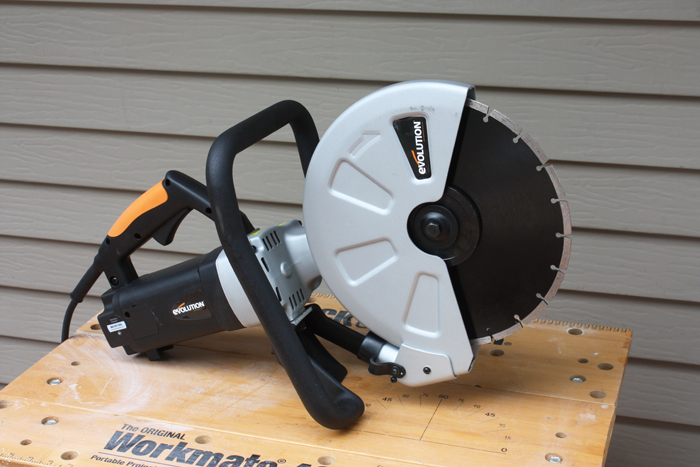 The saw comes equipped with a 12″ diamond blade for all sorts of masonry and concrete work–it will even cut reinforced concrete. The large-diameter blade enables a 4″ depth of cut (although this should be performed with progressive cutting passes, rather than burying the blade all at once). 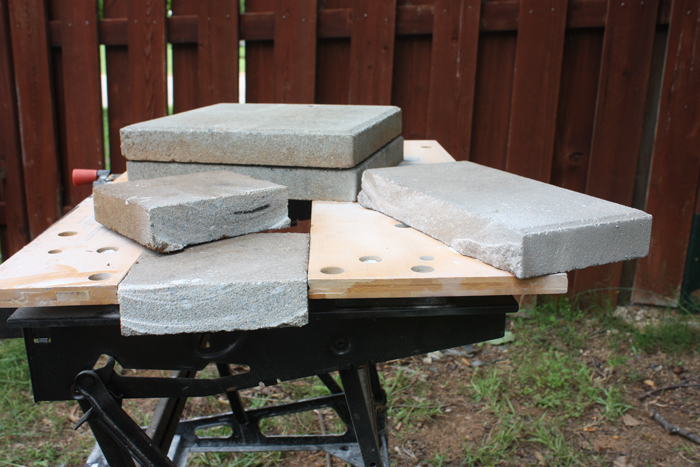 We had a stack of landscape pavers and a few clay bricks, all of which the Disc Cutter ate right through as if they were tasty snacks. 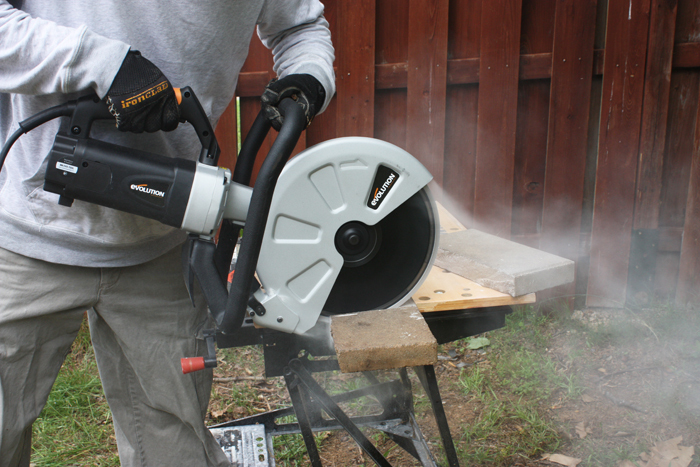 The saw is sturdily constructed for professional use with robust housing, ergonomic grip positions, and a 15-amp high-torque electric motor. 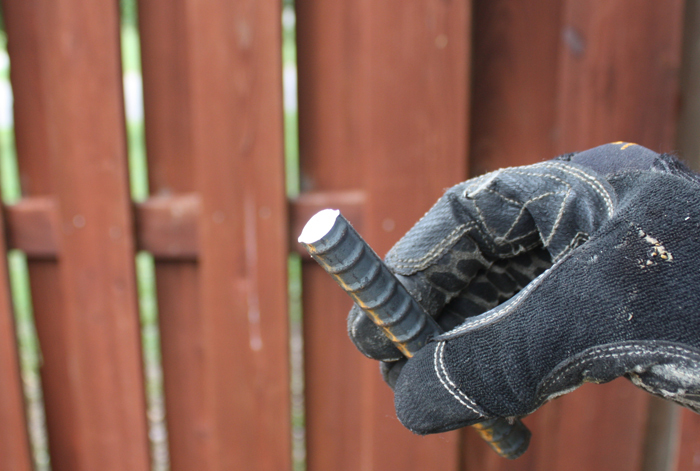 The safety guard is fully adjustable, and the spindle lock mechanism makes blade replacement quick and simple. Plus, since the Disc Cutter produces no emissions, it can be used inside enclosed areas. 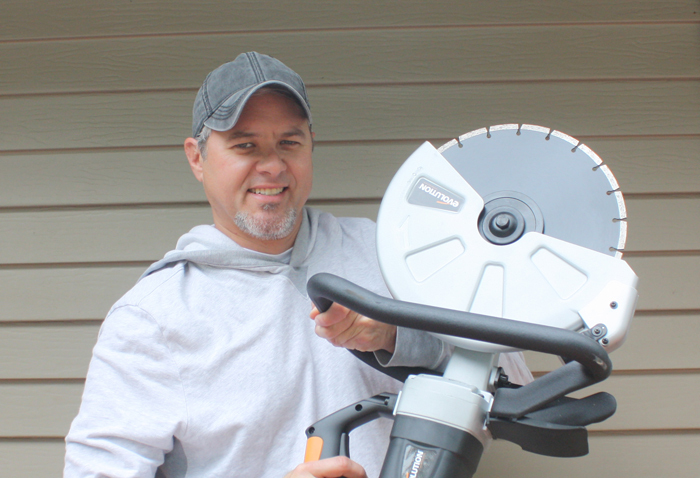 This saw has shot up the ranks as the EHT team’s new go-to tool for building patios, sidewalks, retaining walls and more. This one saw cuts steel, aluminum and wood using the same blade. 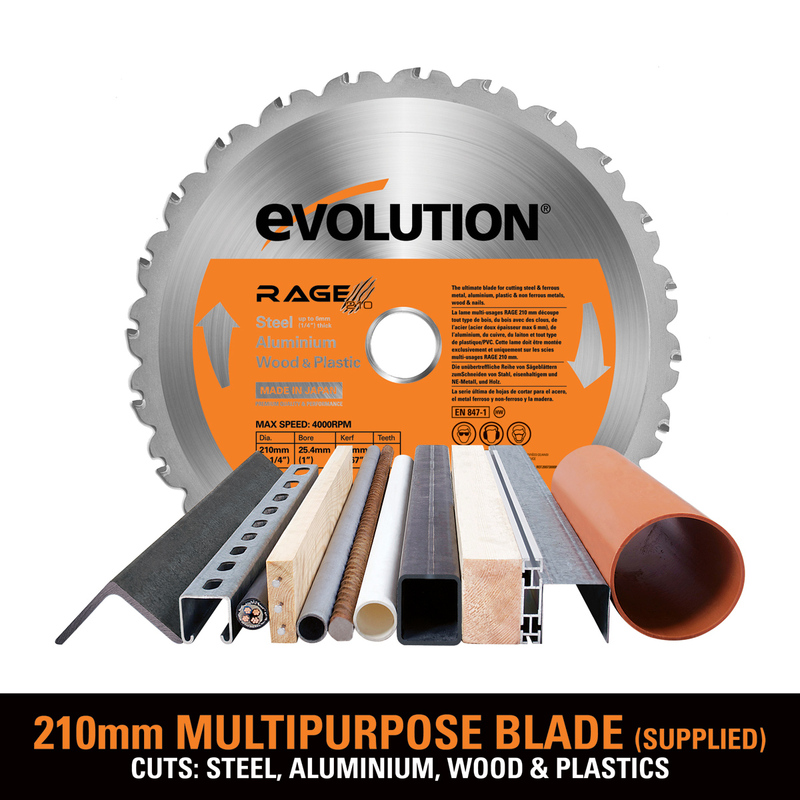 Evolution saws are built with a high-torque motor that runs at a much lower RPM than most other brands. The lower speed reduces motor stresses and is suited for the company’s advanced TCT (tungsten-carbide tipped) blade technology, which gives the Evolution Multipurpose blade its optimum performance across a variety of materials. With steel, it leaves a clean cut with an instantly workable finish, producing no heat, no burr and virtually no sparks. 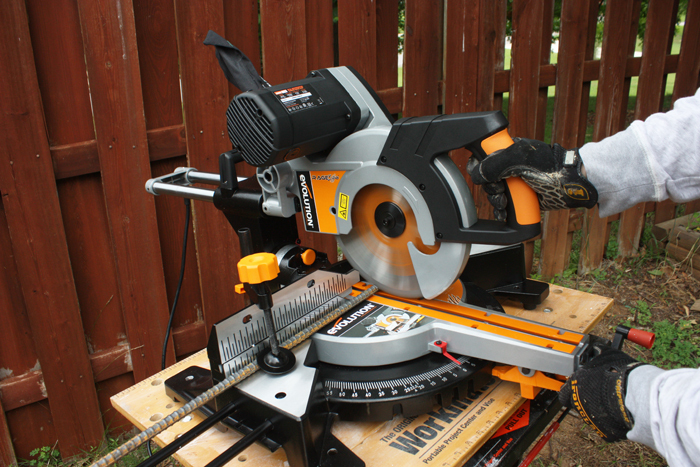 We tested the cutting performance of the Rage saw on rebar, threaded steel rod, aluminum pipe and 4×4 lumber. It didn’t so much as flinch, as you can see in our video. This versatile cutting technology combined with a sliding miter saw setup affords a huge range of applications. The Rage3 Mulitpurpose Sliding Miter Saw includes a tilt and slide mechanism for long angled cuts, plus a laser guideline for greater accuracy. The dual-control cutting head has two triggers, one to start the motor and another to lower the blade. It comes with a secure top clamp and chip deflector, as well as a top handle for easier portability. 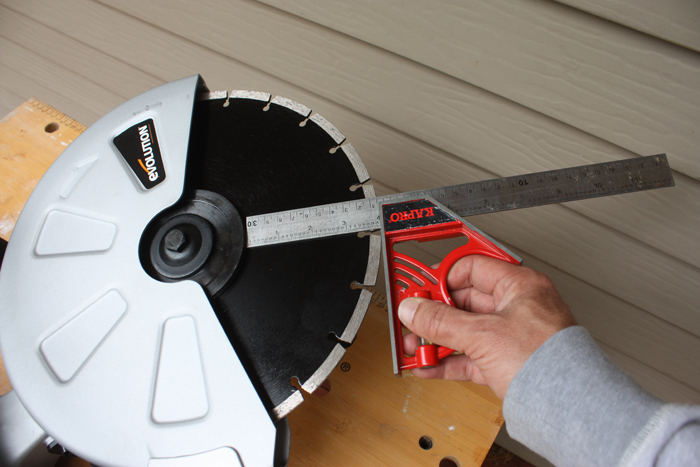 You can even equip the saw with a 10″ Diamond Blade to transform the saw into a sliding tile cutter. Overall, I was impressed and I’m anxious to see what Evolution comes up with next.